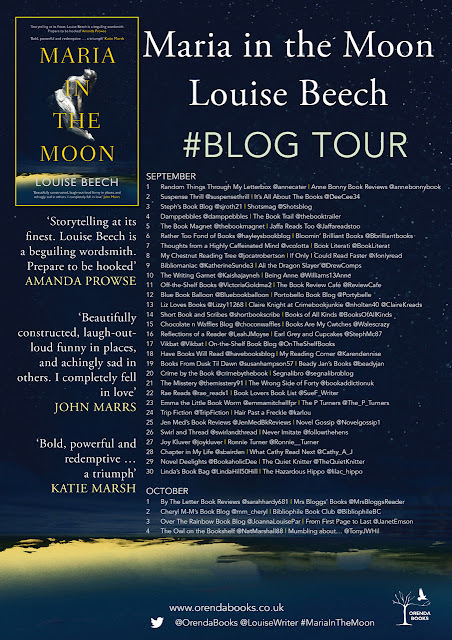 I'm thrilled to be taking part in the blog tour for the amazing Maria in the Moon by Louise Beech. If you haven't yet read a book by Louise Beech, you are really missing out on a treat. Louise's books are so unique and you know that you're reading something truly special that is both uplifting and heart-breaking. 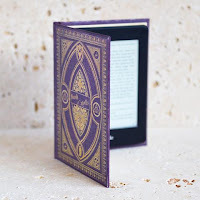 The achingly beautiful Maria in the Moon follows in the stellar footsteps of How To Be Brave and The Mountain in My Shoe and I am releasing my review as part of the blog tour. Catherine-Maria is quite a quirky character; she has very few friends and doesn't let people get close to her. It's just how she is, or is there a deeper reason? Why can't she remember her ninth year? She knows that she broke her Nanny Eve's precious Virgin Mary and the 'Maria' was promptly dropped from her name, leaving her known as just Catherine. She never really got on with her 'mother' and Catherine admits she was a difficult child after her Dad died when she was 8 years old. Following the floods in Hull in 2007, Catherine moves in with a friend while her home is being repaired. Having worked in a crisis centre before, she is a natural choice to help with the phones in the flood crisis centre. Helpline volunteers are warned about getting too close to the people who call in but Catherine soon has some favourites who call especially to speak to her. Through this talking to others, certain memories start to reappear out of the mist and Catherine's ninth year may not be a mystery for much longer...but will she wish she had left it buried? Catherine-Maria is such an exceptional character that I found myself laughing and crying with her. I too remember sitting on the floor at my Nanna's feet while she taught me to knit - although I called the needles 'sticks' as opposed to what Catherine-Maria called them! All too often we have seen the devastation on the news following floods in the UK and people must have really plunged to the depths of despair after losing everything. The book doesn't dwell too much on the negative side of things, but rather shows us that the sun can always appear behind every grey cloud. As Catherine's house was repaired, I felt her soul being repaired at the same time, helped immensely by her budding relationship with the thoughtful, caring Christopher. 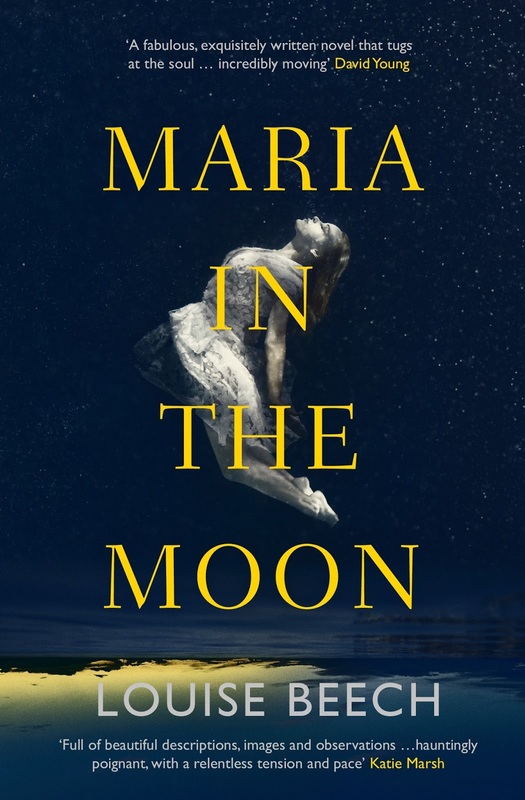 Filled with emotion and exquisite prose in Louise Beech's inimitable style, Maria in the Moon left me speechless and completely thunderstruck. 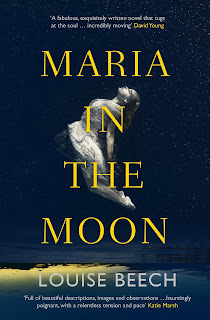 Louise Beech hasn't just aimed for the stars, she's shot past them and given us the moon on a stick: Maria in the Moon is the very pinnacle of perfection. She is inspired by life, history, survival and love, and always has a story in her head. 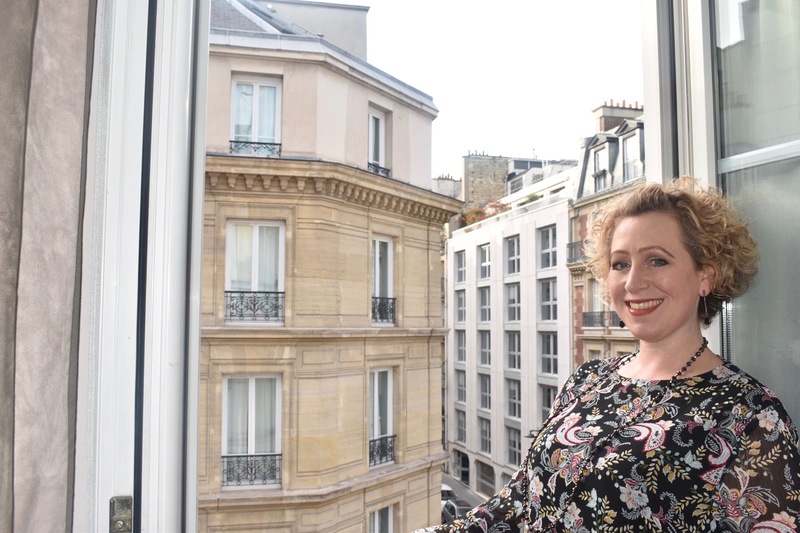 Her debut novel, How to be Brave, came from truth - when Louise's daughter got Type 1 Diabetes she helped her cope by sharing her grandad's real life sea survival story. 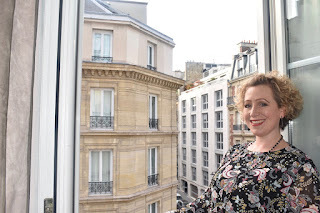 Her second novel, The Mountain in my Shoe, was released in September 2016 and was inspired by her time working with children in the care system.